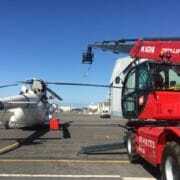 Most film sets have lifting machines of various descriptions – but their range of functions is quite limited. 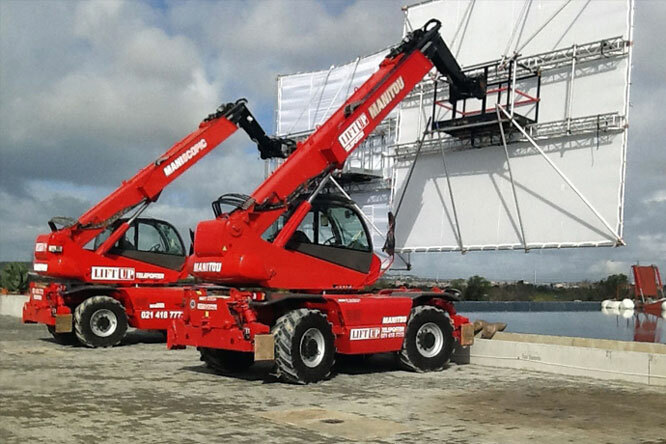 Until recently nobody knew about the incredible flexibility of rotating telehandlers. 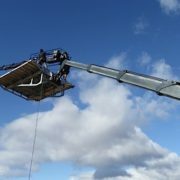 A rotating telehandler is a mobile crane that can rotate its boom 360 degrees while its wheels stay in one place. They are commonly known by their abbreviation MRT, or mobile rotating telehandler. 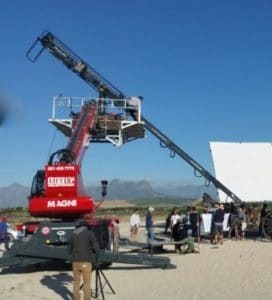 The image above shows two MRTs holding up huge greenscreens on an outdoor film set. 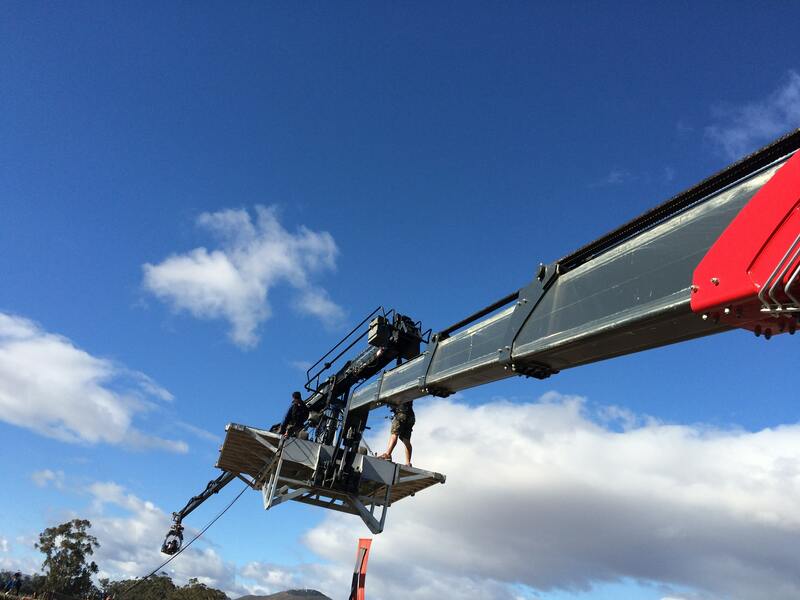 Traditionally, crane hire companies just provided a mobile crane or cherry picker with perhaps fork and a bucket attachments, and then they left the film crew to try and work with them on their own. 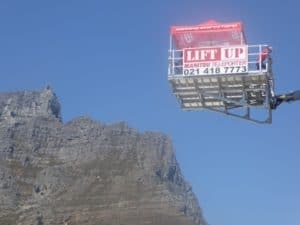 But Liftup listens to what the riggers and camera operators need and then works creatively to find the best solution for them. 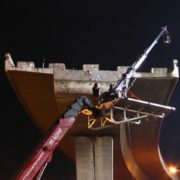 Sometimes this means building special attachments to hold things like greenscreens, cameras, lights and sets. 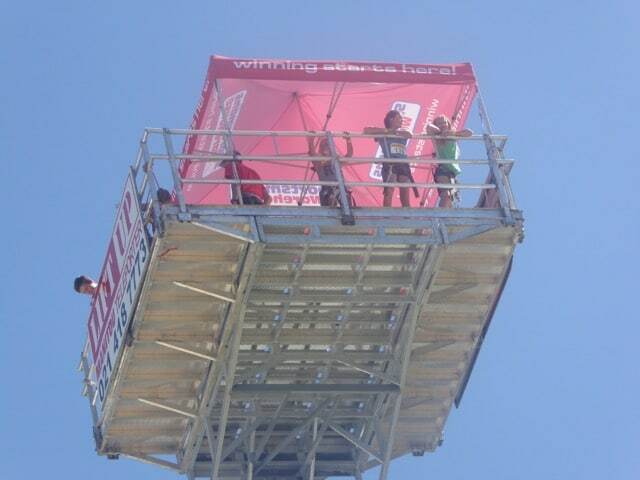 Camera platform used as a visitor attraction at a fair. The camera platform doing some of its own publicity. 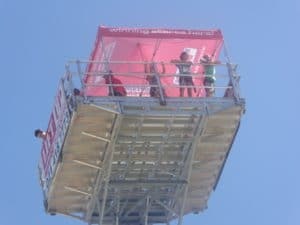 Before the camera platform attachment came into use, riggers had to build a platform with scaffolding and lift the camera on to it. 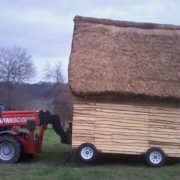 The camera could only be used from certain angles and positions, and when another position was needed the whole thing had to be dismantled and built elsewhere. But with the MRT you simply drive the crane to the next position and get going immediately. 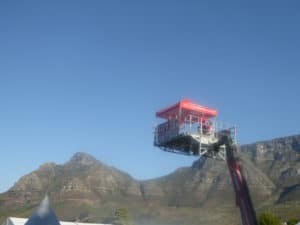 The boom can reach up to 25 metres and rotates in any direction, so cameramen get shots that would not have been possible before. 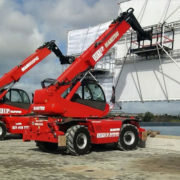 Mobile rotating telehandlers are saving time and money on film sets, and they’re broadening the possibilities for creative film making. 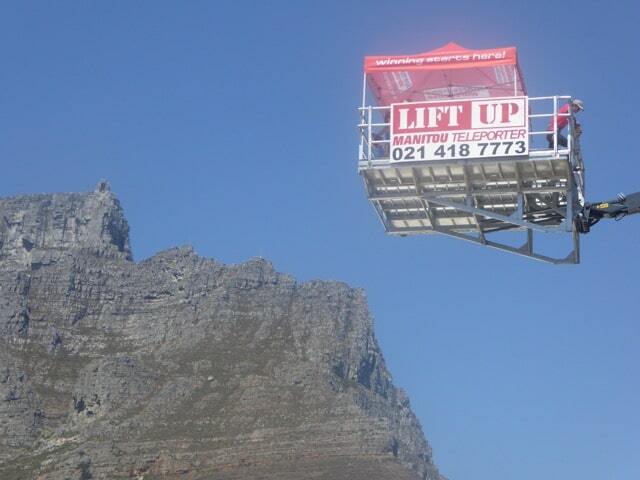 If you are making a film in Cape Town or surrounds, give us a call. 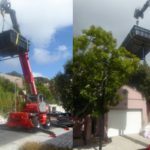 We are the only supplier of industry-leading Manitou and Magni rotating telehandlers in the Western Cape.